These cubes (also known as Cellmax) are tiny pieces of rockwool suitable for use in pots as a growing medium. 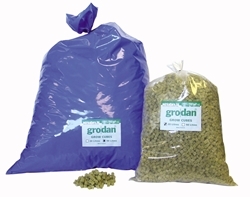 Designed for use with Grodan Propagation Cubes, this growing media is suitable for use in most hydroponic systems. Rockwool is an inorganic material made into matted fibre perfect for seedlings and cuttings. This product gives your seedlings a great start due to its ability to absorb sufficient nutrients easily giving seedlings/cuttings the ideal foundations to start their cycle. Rockwool is adaptable to all hydroponic applications. 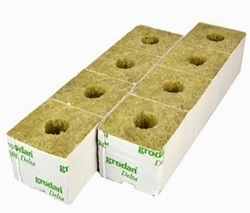 We offer the Grodan range of Rockwool in different varieties to suit our customers.